Neave Brown, English architect and outspoken proponent of low-rise, high-density public housing, has died at age 88 on January 9th. A New York native, Brown left permanently for London to study at the Architectural Association in the mid-1950’s. Known for his work in concrete, Brown’s open, stepped post-war developments demonstrated that high-quality, mass public housing was possible on the scale of London’s existing Victorian row houses. Brown is the only architect to have all of his UK projects listed, a protected status in which a building may not be demolished, expanded, or altered without express permission from the local planning authority. These projects include Dartmouth Park, the Dunboyne Road Estate, and the Alexandra Road Estate, the 1968 brutalist housing complex for which he is perhaps best known. Despite retiring in 2002, Brown’s work has continued to be recognized. 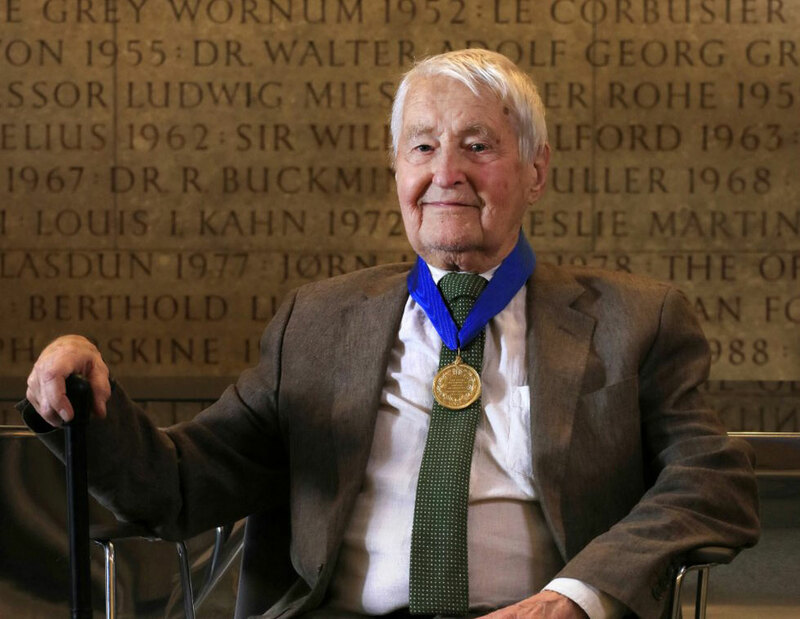 Only two months ago, the Royal Institute of British Architects (RIBA) awarded Brown the 2018 Royal Gold Medal, acknowledging his lifetime of achievement in architecture. 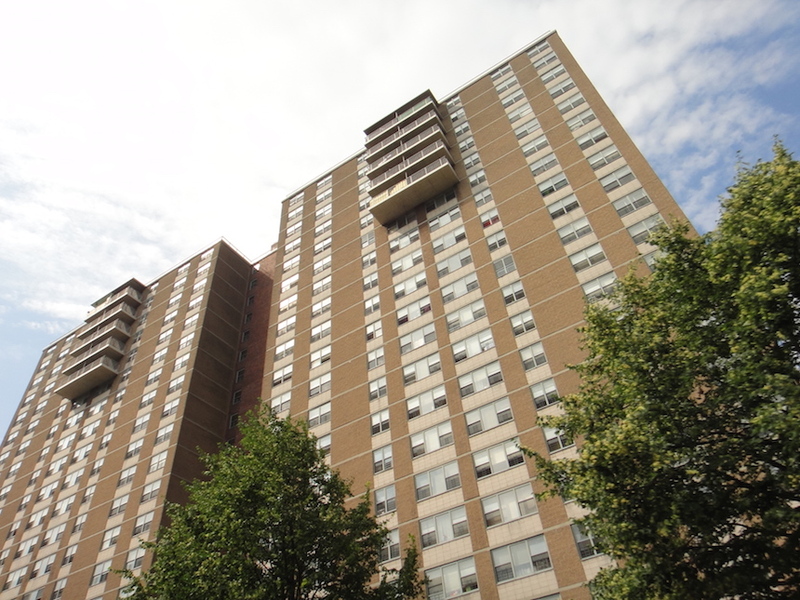 Advocating for a “social housing” model that emphasized communal living and fostering interaction between neighbors, Brown was vocally opposed to high-rise public estates. With the Grenfell Tower fire tragedy and demolition of Robin Hood Gardens fresh in the public’s mind, Brown had been scheduled to host a debate on social housing in February later this year. 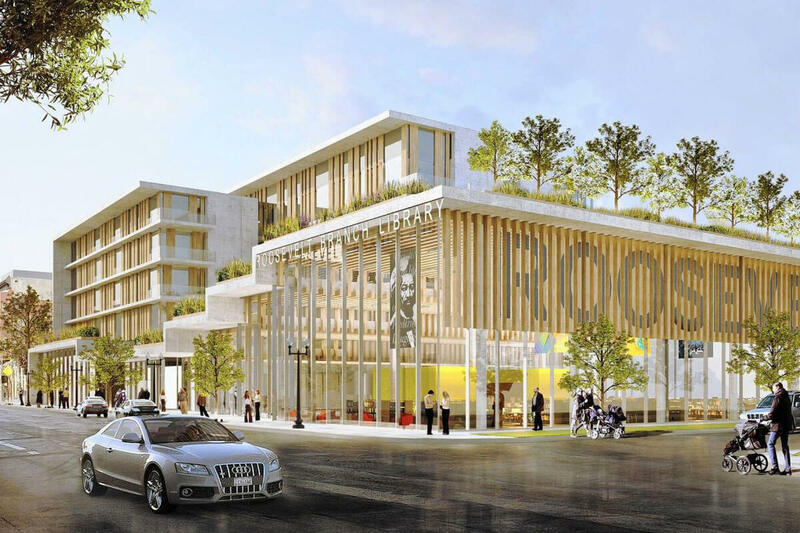 The SOM-designed Roosevelt Square library branch in Chicago has received its first construction permit, despite community opposition to the six stories of housing that will also be built on the site. A public-private collaboration between the Chicago Housing Authority, Chicago Public Libraries and developer Related Midwest, the Roosevelt Square project is the third and final of these combined library-housing developments to be permitted. Following the West Ridge and Irving Park branches, Roosevelt Square will feature a 17,000-square-foot, single-story library topped by six stories of residential units. The tower section will contain 37 public housing units, 29 affordable units, and seven market rate apartments. Development at the site, at 1342 West Taylor Street in Little Italy, has faced pushback from community organizations that have taken issue with the project’s size and impact on neighborhood tax revenue. Most recently, the Little Italy Chicago Neighborhood Association had sought to file a restraining order to head off the library’s construction, but those efforts seem to have fallen through. SOM and Related claim that they’ve taken community feedback into consideration and have reconfigured the building accordingly. The street-level library portion facing Taylor Street was redesigned to include cascading setbacks that would make the building appear shorter, while the residential section has been shunted to the back of the lot. 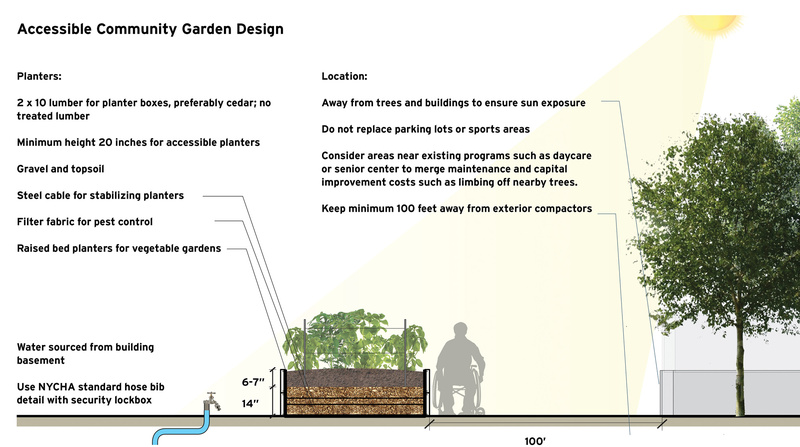 A community garden has been planned for the lot behind the library, as well as a parking lot with 26 spots. While the library entrance will open with a triple-height atrium and feature an accessible green roof, the residential building has been separated programmatically to reduce noise. But the building has a homogenous visual language across both sections, clad mostly in glass and vertical wood paneling that descends from the concrete overhangs covering the length of the building. Perkins+Will's Ralph Johnson will be designing the West Ridge library, which will showcase exposed V-shaped columns and a corrugated metal cladding, while the Irving Park library will be designed by John Ronan and emphasize its extruded windows. The Roosevelt Square development will cost an estimated $36.1 million, and is expected to open the winter of 2018. This Friday, September 8, the Miriam and Ira D. Wallach Art Gallery at Columbia University's Manhattanville campus will open a new exhibition, Living in America: Frank Lloyd Wright, Harlem, & Modern Housing. Developed by Columbia GSAPP's Temple Hoyne Buell Center, the Wallach Art Gallery, and the Avery Architectural and Fine Arts Library, the exhibition is presented in tandem with MoMA's current show Frank Lloyd Wright at 150: Unpacking the Archive. This exhibit, however, will center two parallel narratives: Wright's vision for Broadacre City, an exurban solution to questions around housing as an alternative to dense urban environments, and the simultaneous development of Harlem's first public housing for working-class African Americans. Presenting a range of drawings, archival photographs and other paraphernalia from the late 1920s to the late 1950s, the show aims to present conflicts around what inclusive housing can and should look like, and the particular problems this question posed in an era of trenchant segregation and economic inequality. 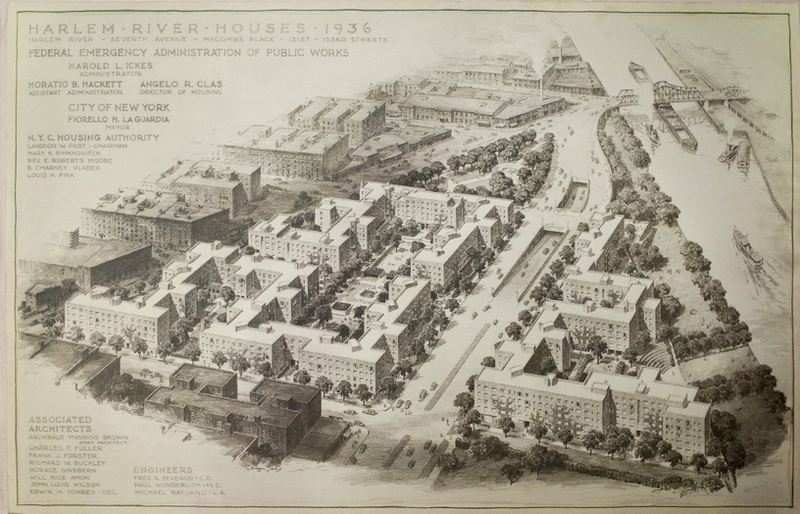 Tracing Broadacre's inception in 1935 and its afterlife in much of Wright's later work alongside the 1936 groundbreaking of the Harlem River Houses under Roosevelt's New Deal, Living in America abuts not just questions about housing but its social consequences, from the structure of the nuclear family to debates about the privatization of public space. The show's title is drawn from an inscription on panels accompanying the physical Broadacre City model – now iconic and highly disputed among planners, architects and landscape architects alike. In addition to the exhibit, The Buell Center will host a symposium on September 28 and 29 as part of its longer-term research project, Power: Infrastructure in America, which has previously presented programs with the likes of Forensic Architecture's Eyal Weizman and author Kim Stanley Robinson. 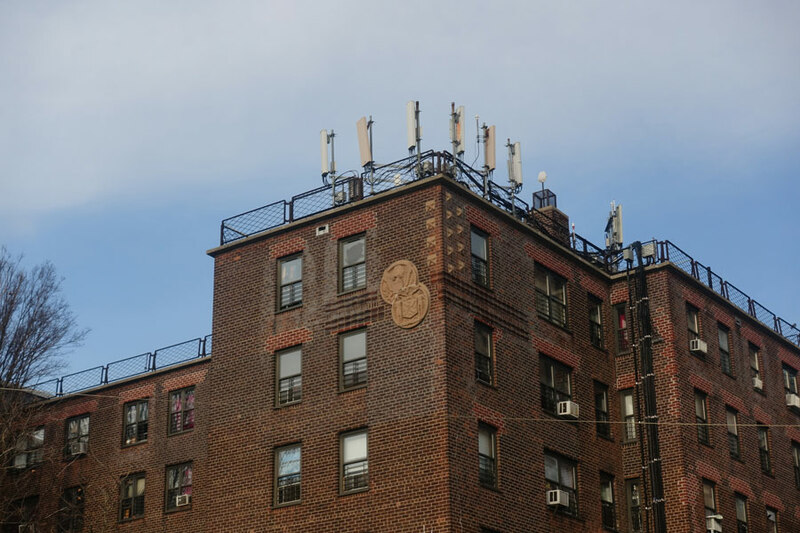 In its latest effort to expand internet access within public housing communities, the New York City Housing Authority (NYCHA) has hopped on the Pokémon Go craze. Nestled in the heart of the LaGuardia Houses on Madison Street next to a mushroom-tiled sculpture—which is, itself, a Poké Stop recognized in the game—NYCHA invited Pokémon trainers to catch some Pokémon and tour its digital van, which was unveiled toward the end of the summer. The van, NYCHA’s third, offers access to free wi-fi and computers for low-income residents, as well as instructions for those less familiar with technology. In addition to free wi-fi, NYCHA’s digital vans are equipped with eight laptops, two tablets, scanners, printers, staplers, pencils, rulers, and calculators—anything you would need in a standard workplace environment. “Basically I’m a mobile office,” Kim Maxwell, the digital van instructor, said with a grin. According to Maxwell, most people utilizing the van’s resources are young people doing research for school, or creating resumes to apply for jobs. And the vans aren’t just serving young people on the job hunt. The second largest segment of users, according to Maxwell, is the elderly in the communities, who seek him out for more than just computer help. With regard to his engagements with the elderly during his visits, Maxwell said he gets a lot of repeat customers. The digital vans are funded through a city grant, with partners at the Department of Information Technology & Telecommunications. Since the first van launched in 2014, they’ve won several awards for municipal innovation. Earlier this summer, the city won a competition by the United States Department of Housing and Urban Development to participate in ConnectHome, an initiative by President Barack Obama to expand broadband access and digital literacy programs for low-income communities. 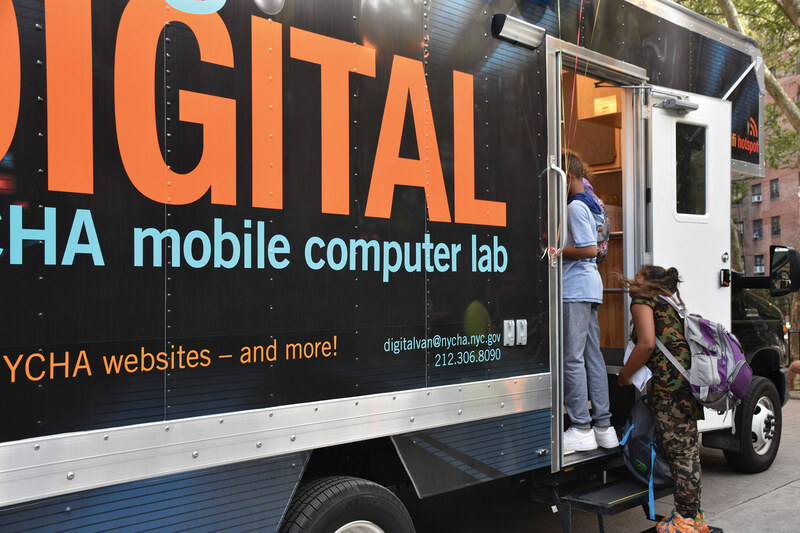 Each of the three digital vans cost about $175,000, with a $200,000 yearly operating budget, and visits between 18 and 25 developments over the course of a two-week rotation—still only a fraction of the 334 developments citywide. When asked about the possibility of more vans, the NYCHA chair suggested that continued collaboration could make it a reality, citing close collaboration with the city government. “We’d very much like to see this replicated,” Olatoye said. As for Vasquez, she plans to spread the word among residents in her building and to inquire about getting the vans over at the Smith Houses at her next meeting with NYCHA. I can trace my interest in New York City’s public housing to a very specific moment back in 2005. New to the city, on a visit to the Queens Museum of Art, I marveled at the “Panorama of the City of New York,” the great model of the city built by Robert Moses for the 1964 World’s Fair. While taking it all in—the Manhattan grid and Central Park, the bridges and piersand waterfront, the city’s terrific expanse—I wondered about the many clusters of red towers cropping up all over the five boroughs. “What are those?” I asked a friend. “The projects,” he answered. “What do you mean the projects?” I asked. “Public housing,” he said—“It’s where the poor live.” I blushed. Affordable housing, its state, and most pressingly, the lack of it, has been a concern in New York City for more than a century. Most recently Mayor Bill de Blasio has made it a central focus of his administration, promising to create and preserve 200,000 affordable units over ten years. That’s a monumental goal. 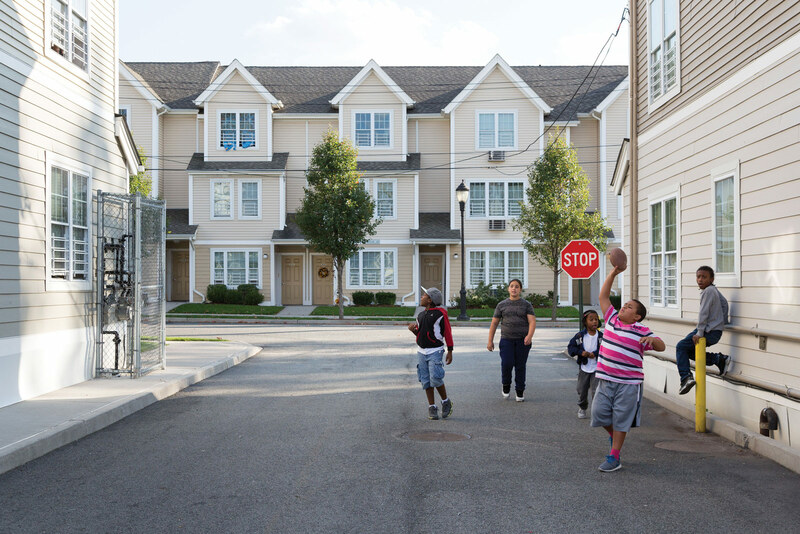 In 2015, as we learn in the introduction to Affordable Housing in New York, a wonderful new book edited by Nicholas Dagen Bloom and Matthew Gordon Lasner, 8 percent of the city’s rental apartments (some 178,000 units) were still in government-owned and -operated public housing developments, with hundreds of thousands more New Yorkers living in complexes like Co-op City, privately-owned, below-market buildings developed with governmental aid and subsidies. Bloom and Lasner, and the exquisite group of contributors they assembled for this volume, look into the first hundred years of projects, programs, policies, communities, and individuals that brought to life this one-of-a-kind housing stock. They focus on what they call “below-market subsidized housing,” noting that “affordable housing,” a term that is in wide use today and one that they use in the book’s title, is “a comparative term that can be stretched to include many kinds of housing”—much of what today is called “affordable,” in fact, can hardly be afforded by working-class families, let alone the poor. Anyone who tries to understand how below-market subsidized housing works in New York City is faced with a mind-boggling tangle of terms and myriad city, state, and federal programs, laws, subsidies, stimuli, grants, tax credits, and abatements, not to mention rent regulations and alternative ownership models. This book offers a way to untangle and understand these terms and their histories. The volume begins at the turn of the 20th century, when housing the urban poor was essentially a private, philanthropic endeavor. 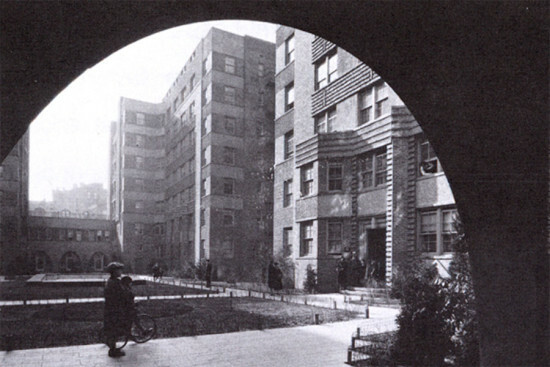 In 1926, in response to mounting pressure due to the abysmal nature and magnitude of the problem, Governor Alfred E. Smith opened the way for governmental involvement in housing with the Limited Dividend Housing Companies Act, the nation’s first law to offer tax exemptions to developers of affordable housing and, most important, to allow the use of eminent domain for site assembly. Organized in six chapters that trace a roughly chronological trajectory, the book offers critical overviews of different waves of housing development as well as a series of essays that analyze case studies of representative communities and short sketches of key figures and programs. Most interestingly, the book tackles this history with what the editors call a “humanistic, longitudinal, large-scale approach,” training “a humanistic lens on discussions usually dominated by designers, social scientists, and policy analysts.” By analyzing about three dozen housing projects of different eras in their social and historical context, the book sheds new light on this multifaceted history without falling into the trap of becoming an obscure laundry list of housing policies. Many of the people that advocated and fought for public housing were larger-than-life personalities. Their battles, as well as their successes and failures, were big, and we live to this day with the legacy of their work. (The stories of New York City housing activists told in this book could well be optioned for a movie.) Women, in particular, were central for bringing about the much-needed changes in housing policy in New York City and beyond. In addition to an essay on the writer and urban activist Jane Jacobs, a revealing essay is dedicated to Mary Kingsbury Simkhovitch (1867–1951), a housing activist who played a key role in “transforming the Progressive Era movement for settlement houses and tenement regulation into a local and national movement for tenement destruction and public housing construction.” Developing her ideas on housing management based on the work of another important woman, the 19th-century London social reformer Octavia Hill, Simkhovitch became “the force behind maternal systems of tenant management.” She also worked with the housing reformer Edith Elmer Wood and with Catherine Bauer Wurster, a leading public housing advocate and author of the influential 1934 book Modern Housing, with whom Simkhovitch drafted many of the provisions for the United States Housing Act of 1937. Closer to us, we read about Yolanda Garcia’s work as the leader of the Bronx coalition Nos Quedamos and about Rosanne Haggerty’s innovative approach to “supportive housing” with the organization Common Ground. 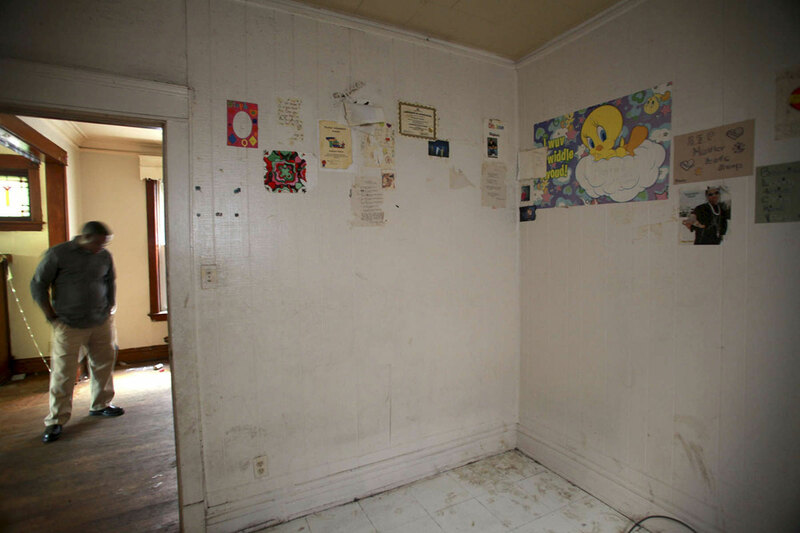 Affordable Housing in New York is a worthy step toward lifting this veil of invisibility.